One of the most remarkable stories in Scripture is of course the blessing of Ya’akov on his 12 sons, and his two grandsons, because this blessing is still with us today and defines at its root all of western history. Those of you who are seeking foundational parameters of political science would do well to study this blessing and to follow its progression through history. Had the British (ברת‎ איש) – the covenant man in Hebrew – only known the truth in 1917, the world might be a completely different place. We will leave that discussion for another day. Today we will take a look at the blessing on the house of Levi. Shimon and Leviy are brethren; instruments of cruelty are in their habitations. 6 O my soul (nefesh), come not thou into their secret (sod); unto their assembly (kahilah), my honour, be not you united: for in their anger they slew a man (ish אִישׁ), and in their selfwill they digged down a wall. 7 Cursed (arar אָרַר) be their anger, for it was fierce; and their wrath (ebrah), for it was cruel: I will divide them in Ya’akov, and scatter them in Yisra’el. And YAHUAH spoke unto El-Aharon, You shall have no inheritance in their land, neither shall you have any part among them: I am your part and your inheritance among the children of Yisra’el. 21 And, behold, I have given the children of Leviy all the tenth in Yisra’el for an inheritance, for their service which they serve, even את eth-the service of the Tabernacle of the assembly. 22 Neither must the children of Yisra’el henceforth come nigh the Tabernacle of the assembly, lest they bear sin, and die. 23 But the Leviyiym shall do את eth-the service of the Tabernacle of the assembly, and they shall bear their iniquity: it shall be a statute forever throughout your generations, that among the children of Yisra’el they have no inheritance. 24 But את eth-the tithes of the children of Yisra’el, which they offer as a heave offering unto YAHUAH, I have given to the Leviyiym to inherit: therefore I have said unto them, Among the children of Yisra’el they shall have no inheritance. And it shall be to me a name of joy, a praise and an honour before all the nations of the earth, which shall hear את eth-all the good that I do unto them: and they shall fear and tremble for all the goodness and for all the prosperity that I procure unto it. 10 Thus says YAHUAH; Again there shall be heard in this place, which ye say shall be desolate without man and without beast, even in the cities of Yahudah, and in the streets of Yerushalayim, that are desolate, without man, and without inhabitant, and without beast, 11 The voice of joy, and the voice of gladness, the voice of the bridegroom, and the voice of the bride, the voice of them that shall say, Praise את eth-YAHUAH TSEVA’OT: for YAHUAH is good; for his mercy endures forever: and of them that shall bring the sacrifice of praise (todah) into the house of YAHUAH. For I will cause to return את eth-the captivity of the land, as at the first, says YAHUAH. 12 Thus says YAHUAH TSEVA’OT; Again in this place, which is desolate without man and without beast, and in all the cities thereof, shall be a habitation of shepherds causing their flocks to lie down. 13 In the cities of the mountains, in the cities of the valley, and in the cities of the Negev, and in the land of Binyamiyn, and in the places about Yerushalayim, and in the cities of Yahudah, shall the flocks pass again under the hands of him that tells them, says YAHUAH. 14 Behold, the days come, says YAHUAH, that I will perform את eth-that good thing which I have promised unto the house of Yisra’el and to the house of Yahudah. In those days, and at that time, will I cause the Branch of Righteousness (tsemach tsedakah, i.e., Mashiach of the line of David) to grow up unto David; and he shall execute judgment and righteousness in the land. 16 In those days shall Yahudah be saved, and Yerushalayim shall dwell safely: and this is the name wherewith she shall be called, YAHUAH TSIDQENU (which is YAH our righteousness). 17 For thus says YAHUAH; David shall never want a man to sit upon the throne of the house of Yisra’el; 18 Neither shall the priests the Leviyiym want a man before me to offer burnt offerings (m’olah – to ascend), and to kindle (qatar - offer incense) meat offerings (minchah - offer tribute), and to do sacrifice (zebach – sacrifice) continually (kole ha’yomiym). Once again, we are left with the question that when the scripture says “continually” does that mean continually? The Hebrew phrase there is kole a’yomiym, or all of the days. Let us consider whether YAH illustrates the extent of this promise within the same contextual phrase so that we might know, and know consistently within a common exegesis. And the Word of YAHUAH came un-to El-Yirmeyahu, saying, 20 Thus says YAHUAH; If ye can break את eth-my covenant of the day, and את eth-my covenant of the night, and that there should not be day and night in their season; 21 Then may also my covenant be broken with את eth-David my servant, that he should not have a son to reign upon his throne; and with את eth-the Leviyiym the priests, my ministers. 22 As the host of heaven cannot be numbered, neither the sand of the sea measured: so will I multiply את eth-the seed of David my servant, and את eth-the Leviyiym that minister unto me. 23 Moreover the Word of YAHUAH came to El-Yirmeyahu, saying, 24 Consider you not what this people have spoken, saying, The two families which YAHUAH has chosen, he has even cast them off? thus they have despised את eth-my people, that they should be no more a nation before them. 25 Thus says YAHUAH; If my covenant be not with day and night, and if I have not appointed the ordinances of heaven and earth; 26 Then will I cast away the seed of Ya`aqov, and David my servant, so that I will not take any of his seed to be rulers over the seed of Avraham, Yitschaq, and Ya`aqov: for I will cause את eth-their captivity to return, and have mercy on them. Consider that the phrase which describes the sacrifice of the priests as offering burnt offerings (m’olah – to ascend), and to kindling (qatar - offer incense) meat offerings (minchah - offer tribute), and to do sacrifice (zebach – sacrifice) continually (kole ha’yomiym), also within its common usage means to ascend, to offer incense, tribute or donations, and to present the sacrifice of praise – which in this context is the todah, meaning giving thanks. For this Malkiy-Tsadiyq (Melchizedek) (the righteous messenger), king of Shalem, priest of EL ELYON, who met Avraham returning from the slaughter of the kings, and blessed him; 2 To whom also Avraham gave a tenth part of all; first being by interpretation King of Righteousness, and after that also King of Shalem, which is, King of Peace; 3 Without father, without mother, without descent, having neither beginning of days, nor end of life; but made like unto the Son of ELOHIYM; abides a priest continually. 4 Now consider how great this man was, unto whom even the patriarch Avraham gave the tenth of the spoils. 5 And verily they that are of the sons of Leviy, who receive the office of the priesthood, have a commandment to take tithes of the people according to the Torah, that is, of their brethren, though they come out of the loins of Avraham: 6 But he whose descent is not counted from them received tithes of Avraham, and blessed him that had the promises. 7 And without all contradiction the less is blessed of the better. 8 And here men that die receive tithes; but there he receives them, of whom it is witnessed that he lives. 9 And as I may so say, Leviy also, who received tithes, payed tithes in Avraham. 10 For he was yet in the loins of his father, when Malkiy-Tsadiyq (Melchizedek) met him. 11 If therefore perfection were by the Levitical priesthood, (for under it the people received the Torah,) what further need was there that another priest should rise after the order of Malkiy-Tsadiyq (Melchizedek), and not be called after the order of Aharon? 12 For the priesthood being changed, there is made of necessity a change also of the priestly instruction. I will stop here to show that the Torah is not overturned, nor is the instruction necessarily changed. The instruction carries with it other meaning. 13 For he of whom these things are spoken pertains to another tribe, of which no man gave attendance at the altar. 14 For it is evident that our ADONAI sprang out of Yahudah; of which tribe Mosheh spoke nothing concerning priesthood. 15 And it is yet far more evident: for that after the similitude of Malkiy-Tsadiyq (Melchizedek) there arises another priest, 16 Who is made, not after the Torah of a carnal commandment, but after the power of an endless life. 17 For he testifies, You are a priest forever after the order of Malkiy-Tsadiyq (Melchizedek). 18 For there is verily a disannulling of the commandment going before for the weakness and unprofitableness thereof. 19 For the priestly instruction made nothing perfect, but the bringing in of a better hope did; by the which we draw nigh unto ELOHIYM. 20 And inasmuch as not without an oath he was made priest: 21 (For those priests were made without an oath; but this with an oath by him that said unto him, YAHUAH swore and will not repent, You are a priest forever after the order of Malkiy-Tsadiyq (Melchizedek):) 22 By so much was YAHUSHA made a surety of a better covenant. 23 And they truly were many priests, because they were not suffered to continue by reason of death: 24 But this man, because he continues ever, has an unchangeable priesthood. 25 Wherefore he is able also to save them to the uttermost that come unto ELOHIYM by him, seeing he ever lives to make intercession for them. 26 For such a High Priest became us, who is holy, harmless, undefiled, separate from sinners, and made higher than the heavens; 27 Who needs not daily, as those high priests, to offer up sacrifice, first for his own sins, and then for the people's: for this he did once, when he offered up himself. 28 For the Torah makes men high priests which have infirmity; but the word of the oath, which was since the Torah, makes the Son, who is consecrated forevermore. 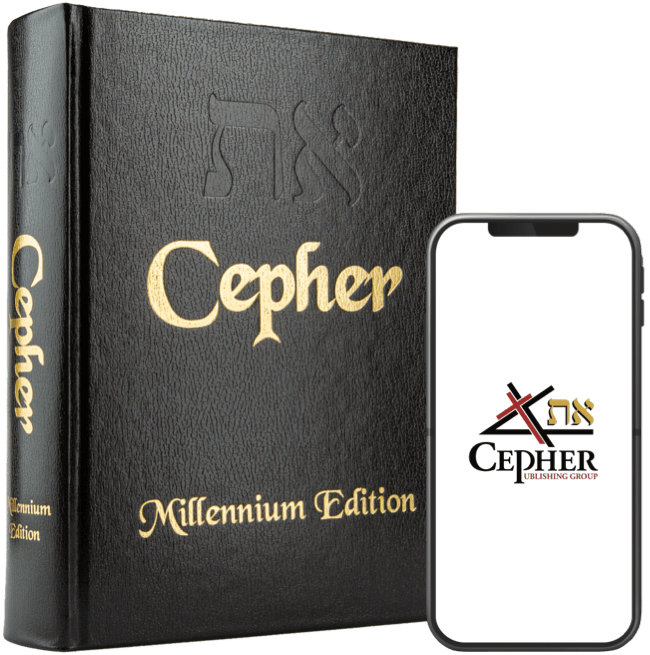 For those of us who seek to walk in Torah, the Levite priesthood, going from one generation to the next, continues, and should continue to offer the sacrifice of praise, the raising of the tithe, the offering of incense and the repentance of sin through intercessory prayer and the offering of music for the glorification of YAH. Does the walk in Torah create a propitiation for sin? No, for there is no walk in Torah that can make right the fall of Adam, whose fall cannot only be restored by the blood sacrifice of Mashiach. The Yachad are those who have His testimony in their hearts, souls, and minds, and who keep those commandments which the Ruach HaQodesh has breathed also in the heart, the soul, and the mind.